800 Number That Works for Small Businesses Communication is the key to my business. I find that running a 1-800 number for both voice and fax that I can transfer from my office to my cell to other locations keeps me in constant contact with clients. Customer service is great with Accessline and I can access and/or change everything from an online control panel. It helps make my mobile lifestyle and workstyle easier to manage. Services include: Conferencing, Auto Attendants, Toll-Free Service, Find Me/Follow Me, VoiceMail and more. They understand how I work. Freelancer’s Union Insurance, Advocacy and information for freelancers nationwide. All Business Website Topics, articles and information of interest to any business owner. Startup Nation Topics, articles and information of interest to any new small business owner. Contractor or Employee – IRS Defines Each How the IRS determines your relationship as a contractor or employee. Important information for VAs, SOHOs and other entrepreneurial service providers. Domains For Sale for Real Estate, Small Business and Entrepreneurs Want a really cool name for your new business, but don’t want to hire someone to come up with the concept? Visit Wicked’s Domains for Sale page and see if any of the current offerings meet your needs. If you don’t find what you need, call me at 1-800-942-5338 and I’ll be happy to help you find a domain that is a perfect fit and will help you brand your unique business. EIN – Employee Identification Number – What is It and Do I Need One? Find out more about EINs and determine if you need to get one. Entrepreneur.com Site Megasite with more information than you will ever be able to digest on running your own business. Inc.com Another megasite with more information than you will ever be able to digest on doing business, including some articles on small business. IRS Small Business Resource CD IRS offers several resources here for small business owners and entrepreneurs, including the small business resource guide CD. Learn More About Handling Audits All about audits – personal and otherwise. Results Exchange Visit ResultsExchange and read articles and columns on direct marketing and other interesting promotional topics in PDF format. Small Biz Website Another megasites with more information than you will ever be able to digest on running your own business. SmallBusiness.com And yet another small business mega-site with more information than you will ever be able to digest on running your own business. Woody’s Watch – Small Business Resource Site Woody’s Office Watch – great general informational newsletter for the technical end of working from home or a small office. Ask Judy Ask Judy, a great general and specific information source on writing and editing, small business and other burning questions. Collection of Quotes Online Just love a good quote? Need filler for that newsletter? Want a quote on a particular topic quickly? Check here! Daily Grammar for Small Business Owners Can’t diagram a sentence? Does writing a report make you break out in a sweat? Here’s general grammar help. Write with confidence! Big Nose Bird Resource Funny name, great web site development information for those small business folks that want to do it all themselves — from soup to nuts. Google Groups – For Answers to Tech Quandries Google Groups is great for all kinds of online research and answers, but don’t forget the value of Google Groups for technology answers, it’s always my first stop for determining what’s up and what I need to do to begin fixing it. HTML Goodies – My Favorite HTML Tutorial Site HTML Goodies to Go Newsletter and my first online stop for those nagging “Now HOW do I code that again?” questions. Need to Upgrade Your Computer? Want to Know? Discussion of ram vs. resources. Perl Archive If you have tried the do-it-yourself Perl and have decided you aren’t QUITE ready for that… try this site. It’s an “in-between” site for wanna-be Perl authors. Programming in Perl Have you become a wiz and want to quit manipulating other people’s CGI script and start writing your own from scratch? Start here! Virus Encyclopedia and Prevention Virus Encyclopedia which includes virus prevention tips. Virus Hoaxes Revealed Virus hoax or virus reality? Find out here. Web Monkey Newsletter Web Monkey Front Door Newsletter. Web Pro Newsletter Web Pro Newsletter. Zdnet.com Tech Resources Offers great resources for the do-it-yourself computer user with the desire to learn to track down and fix their own computer issues. Direct Marketing Resources Visit ResultsExchange and read articles and columns on direct marketing and other interesting promotional topics in PDF format. Entrepreneur.com’s Marketing Resources Sales and Marketing info from Entrepreneur.com. Search Engine Marketing Resource Web Searching Tips for the beginner and the expert. SEO with Online Tools by Delorie Do you wonder how your site looks to search engines? Find out here. About.com Resources of Every Type Educational sites of note, covering an amazingly broad range of topics. 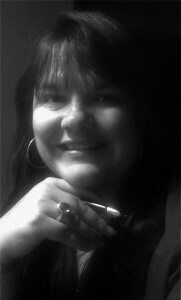 Angela’s Wicked Blog Want to see the personal side of WickedWriter’s Angela Allen? Visit my personal blog, to read my musings, rants, raves and random thoughts on topics ranging from mobility, voluntary simplicity, parenting and politics to anything else I find amusing, disturbing or noteworthy. FreelanceDesigners.com Freelance designers from all over the world. CrowdSpring.com CrowdSpring.com offers a slew of talented creatives eager to deliver your project at a reasonable cost. The cool thing about this model is you get to see completed work before picking your design — not just people telling you what they will make for you. I use them. I love them. Want to Learn More About Something? Educational and learning site of note, covering many topics. I have had others help me in the past and, although they were talented writers, they always described my products in their words. That is what I appreciate about Angela's writing, she gets to know you, gets a feel for you, and is able to relate what you want into words for you. She writes in your natural voice, not hers.